← September 7th in Gennett History, 2016: Arcadia Publishing Releases the Images of America Book about Gennett Records and Starr Piano. 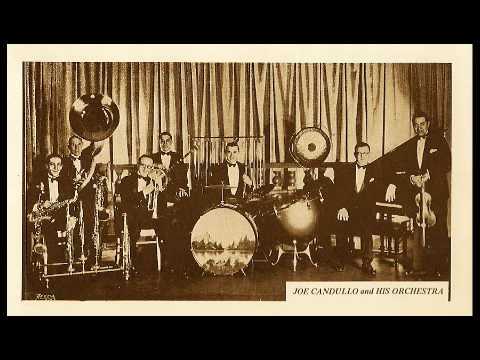 September 9th in Gennett History, 1926: Joe Candullo and His Everglades Orchestra recorded “In A Little Garden” in NYC. The recording appeared on Gennett 3385, Challenge 118, Silvertone 3842, Aco G-16141, Beltona 1120, Champion 15166, Coliseum 1967, and Meloto S-1739. Known performers on this track include Eddie Chester (vox), Burt Reynolds (ss), Goof Moyer (as/cl), Gerry Salisbury (sax/cl), Frank de Carlo (p), Nick Farrara (bs), Joe Montesanto (bjo), and Joe Candullo (v), The Champion issue sold 3,084 copies in 1926 and 1927. Hear this track and a whole collection of Joe Candullo recordings here. Link | This entry was posted in Gennett, September and tagged Gennett, Gennett Discography, Gennett Records, Joe Candullo and His Everglade Orchestra, September. Bookmark the permalink.